BARCELONA, Spain – American team Haas introduced its new car for its second season in Formula One on Sunday. The VF-17 car was unveiled on the team’s website and social media platforms. Red Bull and Toro Rosso also launched their cars on Sunday. They will officially take to the track for the first time on Monday in the season’s first test session in Barcelona. 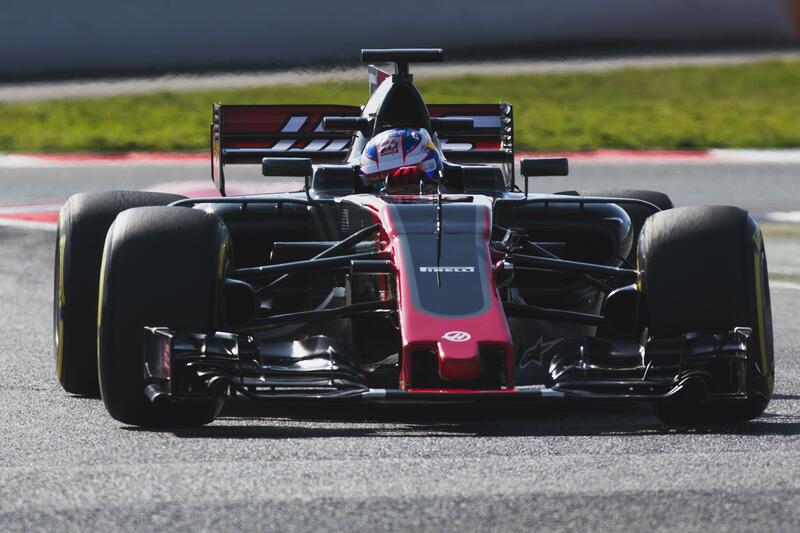 The new Haas car has maintained the original colors from last year but dark gray dominates. The new livery still has tones of red, white, black and light gray. New aerodynamic and tire regulations were introduced for 2017 to try to bring more excitement to the series, and cars will be wider and significantly faster than last season. Hass had a decent debut season in F1, scoring 29 points to finish eighth in the constructors’ standings. Romain Grosjean is back in the driver’s seat for Haas in 2017, while Kevin Magnussen will replace Esteban Gutierrez. Red Bull, the only team other than Mercedes to win races last season, unveiled its car online, while Toro Rosso introduced its new machine – which sports a brand new livery – at the Barcelona track. Teams will test until Thursday. Another four-day session takes place from March 7-10 in Barcelona. The season-opening Australian Grand Prix is on March 26. Published: Feb. 26, 2017, 9 p.m.